The train has once again become a viable travel option. With fluctuating airfare prices, steep baggage fees, delay-prone airlines, and other airport hassles, using Amtrak can seem like an attractive alternative to flying. Train travel is often cheaper than taking to the air, but perhaps not as much as people think. Luckily, there are plenty of strategies for finding the cheapest possible Amtrak tickets. Amtrak has ongoing discounts for people who fall into a certain demographic categories or are members of certain groups. Children between the ages of 2 and 12 are eligible for half-price tickets every day with each paying adult (18+). Children traveling alone are not entitled to a children's discount. Infants and toddlers under the age of 2 not occupying a seat may ride free with each fare-paying adult. Additional infants can be booked as a "child" and receive the 50% discount (if available) or as an "adult" (if the children's fare is not available). Passengers 12 years of age and younger must travel with an adult passenger who is at least 18 years old. This offer is not valid on weekday Acela Express trains and does not apply to Business Class, First Class or sleeper accommodation charges. It is also not valid for travel on certain Amtrak Thruway connecting services. 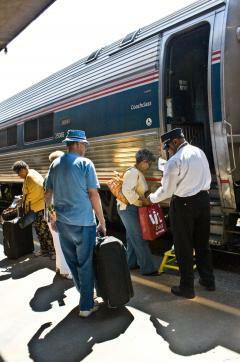 Seniors 65 and over receive a 10% discount on the lowest available rail fare on most Amtrak trains. The discounts cannot be applied to premium class tickets, sleeper car tickets, Auto Train, Acela Express, or on cross-border services operated jointly by Amtrak and VIA Rail Canada. Valid proof of age is required when purchasing your ticket and onboard the train. Members of the National Association of Railroad Passengers (NARP) are eligible to receive a 10% discount on the lowest available rail fare on most Amtrak trains. To use the NARP discount, you must book your tickets (including tickets for travel on unreserved trains) at least three days in advance of travel. The NARP discount does not apply to Business Class, First Class or sleeping accommodation and is not valid with Saver Fares, on certain Amtrak Thruway connecting services and on the Canadian portion of services operated jointly by Amtrak and VIA Rail Canada. Remember that NARP members with "Family" NARP membership cards must each carry their own card with them when traveling on Amtrak as the conductor can request to see the membership cards. Veterans with valid active-duty United States Armed Forces identification cards, active-duty US military personnel, their spouses and their dependents are eligible to receive a 10% discount on the lowest available rail fare on most Amtrak trains, including travel on the Auto Train. Military discounts are not valid with Saver Fares, on the weekday Acela Express trains, or on Business Class, First Class or sleeping accommodation. Military discounts are also not available on the Canadian portion of services operated jointly by Amtrak and VIA Rail Canada. 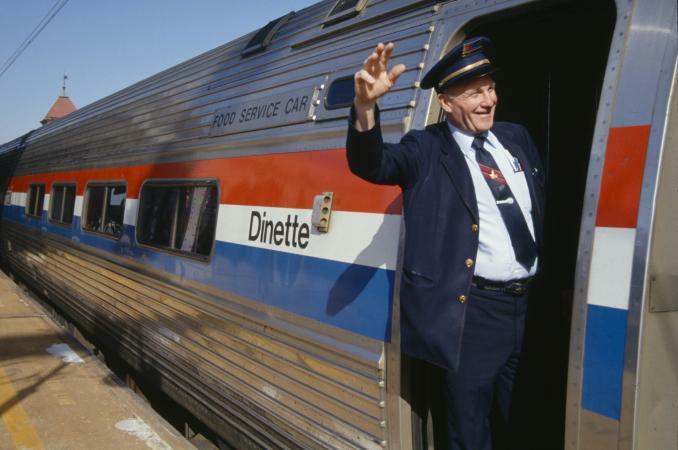 College students are offered a discounted six-ride pass that is good for one year on the Downeaster trains between Boston - North Station, MA and Brunswick, ME with a valid college/university ID. Adult passengers with disabilities are offered a 10% rail fare discount and those travelling on Downeaster trains (Boston, MA to Portland, ME) are eligible for a 50% discount. Child passengers with a disability are eligible for the 50% child discount plus an additional 10% off the discounted child's fare, regardless of the service on which they travel. Amtrak also offers a 10% discount for persons 8 years of age or older traveling with a passenger with a disability as a companion. If you are a federal employee, Amtrak offers special discounted fares on rail travel within the Northeast Corridor. Federal employees traveling on business are offered discounted coach fares nationwide. Federal government discounts may not be booked on Amtrak.com; they must be booked directly via email at amtrakgovernmenttravel@amtrak.com. A corporate incentive program is offered for trains in the Northeast corridor that includes Boston, New York, and Washington D.C. This program stipulates that there must be 10 or more weekday departures between Boston and New York and 16 weekday departures between New York and Washington, D.C. There is a group and convention discount offered for groups of 20 or more people, but it is not available on all Amtrak trains. To learn more about group travel requests, call 1-800-USA-1GRP. Train travelers have a slight disadvantage compared to air travelers because rail deals are not as widely advertised as airfare sales. However, looking in the right place can lead to some good deals on Amtrak tickets. The first place to look for deals is on Amtrak's weekly specials page for a 30% discount. The special prices are available from Tuesday through Friday each week. Most specials are categorized by region. Deals change weekly, so it pays to check back each Tuesday. Amtrak also has a special "Deals" page that lists all current deals offered by the company. These special promotions are categorized by region and train route so you can pick and choose what part of the country you want to travel through by train. Many of these promotions are available for six to eight months and offer deals anywhere from 15% to 30% off regular fares. Another way to ride the rails for less than full price is to purchase one of the many available rail passes or train-centered vacation packages. Rail passes allow users to make a certain amount of train trips within a specific period while themed packages are useful for people who plan to take a vacation in a specific area and want to travel by train. Multi-ride tickets are a good deal for people who plan to travel frequently by train. The most flexible of these passes is the Monthly Rail Pass, which is good for unlimited rides within any calendar month. These passes do carry some restrictions, however. They cannot be used, in general, on long haul train routes. Nonetheless, frequent rail riders traveling within one region or between two neighboring regions will find this pass a worthwhile money-saver. Ten-ride passes can carry 45-day, 60-day, or six-month usage periods. As the name suggests, these passes are good for ten rides, though prices vary according to region and the user's travel plans. The longer usage period means that these passes are more useful for casual rail riders who want to save money on travel over a two to six month period. People who want to make their train journey the center of their vacation might be interested in Amtrak's themed rail vacation packages. Though these packages might be more than the price of a direct ticket, they include some meals, guided tours or narrated train rides, and even hotel stays. Overall, these packages might actually be a money-saver because of the extras that are included along with the train ticket. 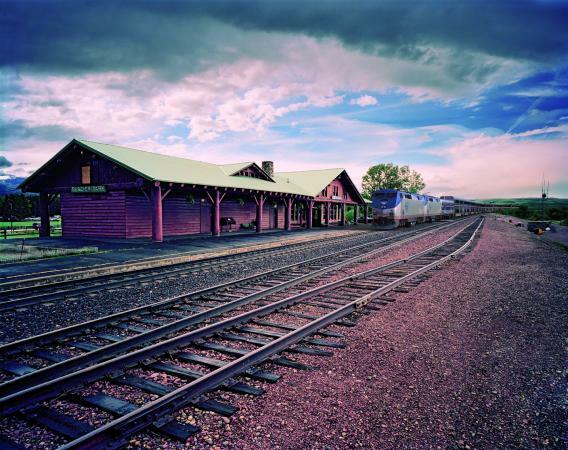 Options include Boston to Maine and Yosemite By Train; the Hearst Castle Package with an overnight stay, guided tours and lunch; and ski tours of northwest Montana. There are ways to look for travel deals and to save money on Amtrak trains. Book early, especially on popular routes, and read the fine print carefully. It doesn't matter if you book online, on the phone or at the station, the prices will be the same. The seats are sold in groups with the cheapest seats being sold first usually up to ten months prior to departure, so the early bird gets the worm. Buy a rail card or a multi-day pass and share the cost with a friend if you are both doing a short period of consistent travel at different times. If you are traveling across the country, you may consider sharing a sleeping compartment that can fit up to four people in order to save money. Join Amtrak Guest Rewards. This program works like frequent flyer miles with points rewarded for train travel. Participants will earn two points per dollar spent on Amtrak travel. There is an offer of a 25% point bonus for all Business Class travel and a 50% point bonus for Acela First Class travel. Free Amtrak travel begins at 800 points. It may take some time to tally up the points but eventually you will save money in this program. Keep checking SmartFares for flash sales and join partner sites like National Association of Railroad Passengers or AAA. Keep tabs on Amtrak's Facebook page for updates, deals and blogs. Between the regular promotions, multi-ride passes, discounts, and vacation packages, it is pretty easy to avoid paying full price for an Amtrak trip no matter what your train travel needs are.